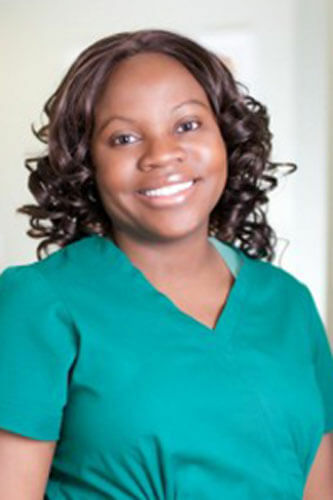 Soeurette Capellan has found inspiration and a fulfilling career as a dental hygienist at Dr. Massiah’s dental practice. She says that she has wanted to work in health care for as long as she can remember and fortunately found her path in dentistry while in college, when she graduated with honors from the University of Bridgeport’s Fones School of Dental Hygiene. After working in several clinical dental offices, Soeurette sought to find a more intimate private practice to work for, and discovered Dr. Massiah’s dental practice in NYC. After making the switch, she now feels that she has fulfilled her lifelong dream of being a healthcare professional. What she loves most about working at Dr. Massiah’s dental practice is the freedom to spend more personal time attention to each patient, while caring for them by taking their blood pressure and reviewing their full medical history. Soeurette now lives in Van Cortlandt, New York with her husband and her two daughters, Charlize and Elise.